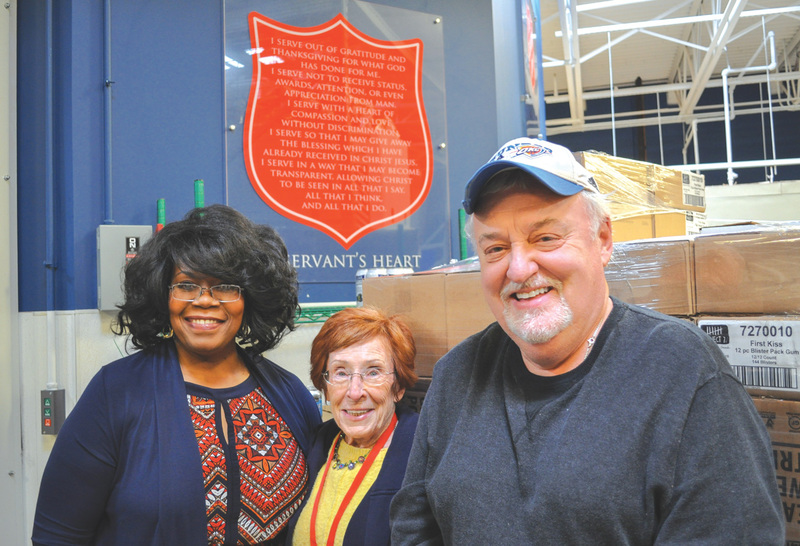 Volunteers are the backbone of the Salvation Army’s Food Pantry. The first year of Rick Dimit’s retirement went by in the blink of an eye. By the time the second year rolled around he realized he needed to do something to get the most of out of his retirement. “I wanted to do community work that was equivalent to about a day for a non-profit,” Dimit said, unfolding the story of how he got plugged into the Salvation Army Food Pantry. Dimit’s professional life included serving as the human resources director at Francis Tuttle Technology Center. He also served as the equity officer at the University of Central Oklahoma as well as putting his law degree to work as inhouse counsel for the university. But with all that behind him and more free time than he ever imagined he decided to commit to something once again that was bigger than himself. Currently The Salvation Army is in need of volunteers to serve in its Client Choice Food Pantry at its Oklahoma City location. Dimit admits he may never truly understand the depth of how much the Salvation Army helps those in need. Watts urges people needing assistance to come to the pantry first before they start spending their limited monthly benefits like Social Security or food stamps. To learn more about this opportunity, please contact Liz Banks at 405-246-1107 or via email, liz.banks@uss.salvationarmy.org. Dimit admits if he can do it anyone can. Watts agrees.